This summer we got the news that finally Peñíscola would be one of the Spanish cities chosen for the shooting of the next season of the TV series Games of Thrones. That is a great advert for the people of Castellón Province as well as the best opportunity to get to know a unique location. 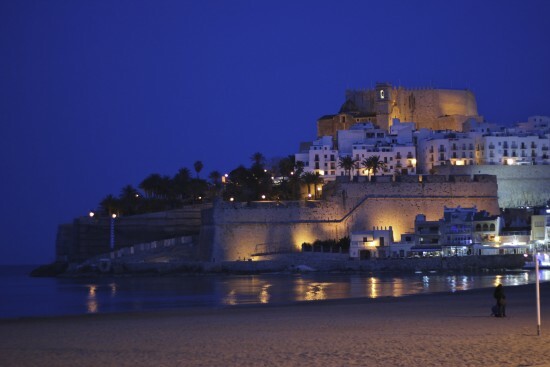 In the North along the coast of Castellón Peñíscola is a town with centuries of history and a distinctive profile thanks to Papa Luna Castle, the crown on the top of the rock on which the old town is located. The name “Peñíscola” originates directly from the peninsula on which it is located. It is a unique, uncomparable profile, which has already seen one great American blockbuster: El Cid, starring Charlton Heston in 1961. Now the steep streets will be invaded with dynastic fights by the literary characters of George R.R. Martin, immortalized by the brand of HBO television. The shooting will take place from October 1st to 9th with a selection of 1,200 extras and the whole town mobilised for this event. Since 2013 Peñíscola is part of “The Most Beautiful Spanish Places” with its unforgettable and remarkable skyline. For centuries that particular terrain served the city as a defense in numerous fights, and stays now like an icon. The North with its extensive beaches and the modern seafront area with great views of the city. Departing from its cobbled streets you can find in the South of Peñíscola one of the rare if not the best untouched coastal areas left in the Valencia Region: the Natural Park of Sierra d’Irta. There are 12 km of protected wild and rough coastline with caves, cliffs and bays as a beaches which are a must at any time of year. Nevertheless it is an widely unknown landscape even to many Valencian. As viewpoint and recommended stop on a tour take the Badum Tower, the highest point of the park. Other places which should not be missed during a stay in Peñíscola are the swamps Marjal. A protected nature reserve and one of the last areas for the Samaruc, a rare fish of the Mediterranean. Schools which form the Spanish Federation of Schools of Spanish as a Foreign Language in Valencia Region, like Audio Gil–Spanish Institute, know that it is important to get language students interested in their surrounding by offering various extracurricular activities. A visit to the location of Games of Thrones seems to be the perfect idea! Direct find the solution is not any type of the option but you can say this come use when you have no other way but when you can know about the http://gethelpwindows10.com. You queries will be definitely solve if you have anything about in your mind about of the new version of the operating system.